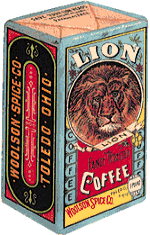 One of America's oldest major coffee companies, LION Coffee roared into life in 1864 in Toledo, Ohio. In 1979, LION moved to Hawaii to focus on the only beans grown in America. That was the year Hawaii officially became LION Coffee Country! LION's regal standards demand the finest beans, fancy roasting, freshness, and an abundance of cheer! Today, our cheery red bags emblazoned with "the cup that cheers!" are shipped to coffee lovers around the world. 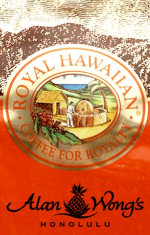 1968... Aloha Royal Kona Coffee! Royal Kona Coffee started with a commitment and a promise to Kona Coffee farmers, that we could (and would!) sell all the Kona Coffee beans they could grow. One by one, they came to our door bearing 100 pound bags of green Kona and smiles as wide as the day is long. 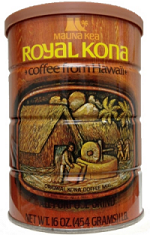 In 2000, Lion Coffee and Royal Kona Coffee formed a partnership. To work together, and help each other grow. The new "family" was called Hawaii Coffee Company. Hawaiian Islands Tea was born in 1995, right here in Hawaii, with a mission to produce the world’s most fragrant and flavorful tropical teas. 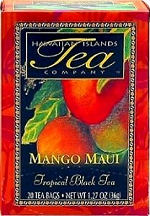 Exotic tropical fruit flavors, blended with premium tea leaves to create fragrant and flavorful tropical tea. Growing a company was crazy hard before there was the Internet or websites. So when this little sister arrived at our doorstep in 2004, we opened our arms and welcomed her to the family. We blend, flavor and package all our teas by hand, right here in Hawaii. Chef Alan Wong is considered one of the godfathers of Hawaiian cuisine. He's appeared on the television show Top Chef, cooked a luau at the White House for President Obama (at the annual White House Congressional picnic) -- and has won more awards than we could list here. When Chef Wong was looking for a top notch roaster to produce his own line of coffees, which would be served exclusively in his award winning restaurants, we were over-the-moon happy to welcome him to the family. Royal Hawaiian Coffees are developed and endorsed by world-renowned Chef Alan Wong. Today, we are the largest roaster of Kona Coffee in the world and Hawaii's leading supplier of coffee to the Island's hotels, restaurants and retail stores. We are a taste of Hawaii. Aloha!